Lovely and touching. Thank you for sharing. She’s absolutely beautiful ❤ these drawings are incredible. I never really see the beauty in the human body, especially after over a year of anorexia, but these pictures really changed my perspective. If I knew that I looked like her (which I don't… but I wish I could) then I'd be so happy and comfortable in my skin. Thanks for your comment Georgia… it’s really amazing how drawing brings out the beauty of the body. 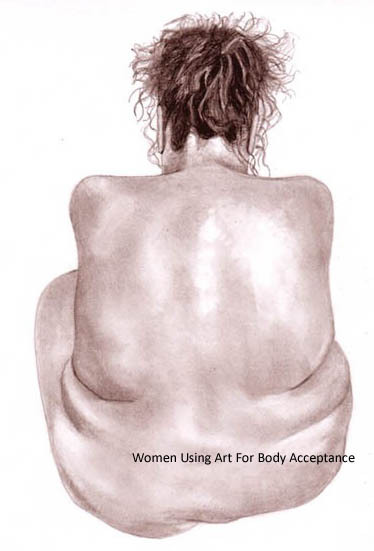 Even people who don’t think they can draw at all have experienced the change in perspective that happens when you draw or trace the human form. It’s amazing how judgements fall away. It also helps to see a wide variety of bodies (something the media does not offer us) because the more we see the beauty in others, slowly, slowly, we can start to recognize it in ourselves as well. 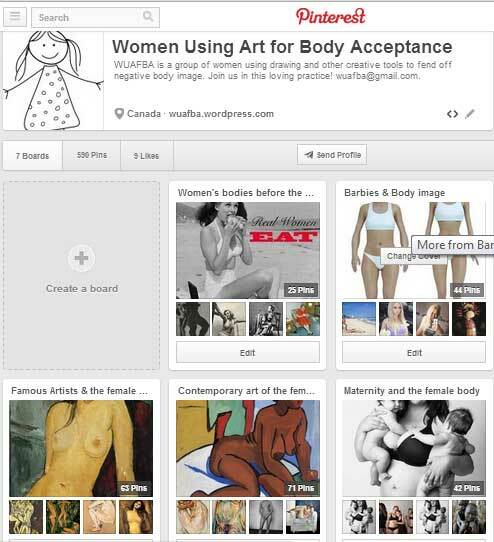 Check out our Pinterest Board for a huge collection of bodies – both photos and artwork – and the best to you along your path to recovering love and acceptance of your own body!